A Clarke County Grand Jury recently indicted a former Athens-Clarke County police officer on charges he sexually assaulted a juvenile while he was still wearing the badge. CAP Capt Kristin Matthew “Kris” Ward was charged with aggravated sexual battery, child molestation, enticing a child for indecent purposes and violation of his oath as a police officer, according to the indictment filed Dec 8 in Clarke County Superior Court. According to the indictment, the alleged victim was under 16 years old when he allegedly was assaulted between September 2010 and November 2011. He was said at the time to be a cadet with the Civil Air Patrol, a U.S. Air Force Auxiliary, and Capt Ward was Commander of the [Clark County Composite Squadron] unit based at Athens-Ben Epps Airport. 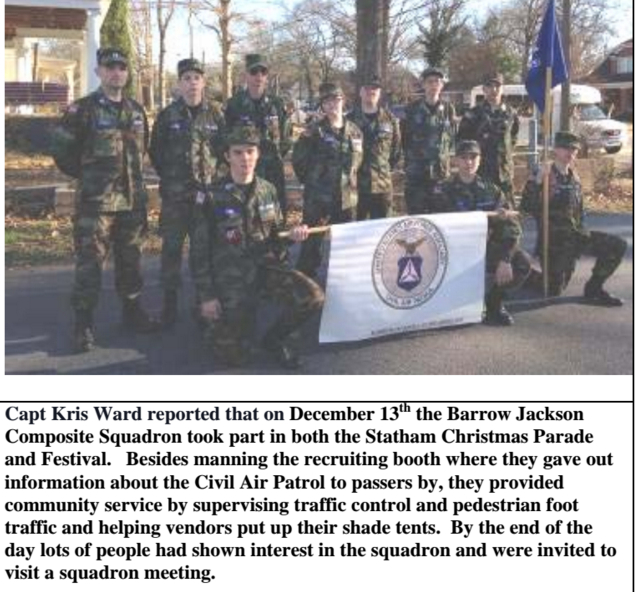 Cadets are between 12-16 years old. 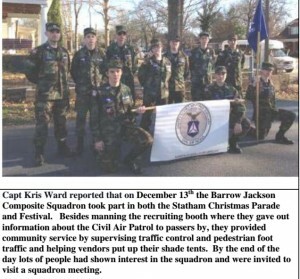 When arrested in April, Capt Ward was a Deputy Commander for the Civil Air Patrol in Barrow County. The alleged victim came forward with his allegations against Ward in April, at which time the 27-year-old officer was suspended with pay. Captain Carter Greene, who was acting police chief at the time, said Ward was fired after a subsequent internal affairs investigation determined he violated his oath of office and other departmental directives. The police department referred the criminal aspects of the alleged victim’s accusations to the Georgia Bureau of Investigation, which found there was probable cause to arrest Ward on sexual assault and related charges. Athens defense attorney Morris Wiltshire, who is representing Ward, said his client told him the allegations were baseless. The attorney said the criminal charges appeared to be based solely on the alleged victim’s allegations. Capt Ward’s career in law enforcement began in 2007, when he worked as a communications officer for the Oconee County Sheriff’s Office. He was hired by the Athens-Clarke County Police Department in 2009 and rose to the rank of senior police officer. He was terminated from the Athens police force for violations of department directives that include conduct unbecoming an officer, loyalty and integrity, truthfulness, and law enforcement code of conduct.